I had a client site visit last week in Westfield to check on the progress of her master bedroom design and determine where to hang the art work that was delivered. I can't wait to share the entire room once the art is all hung and the window treatments are installed. 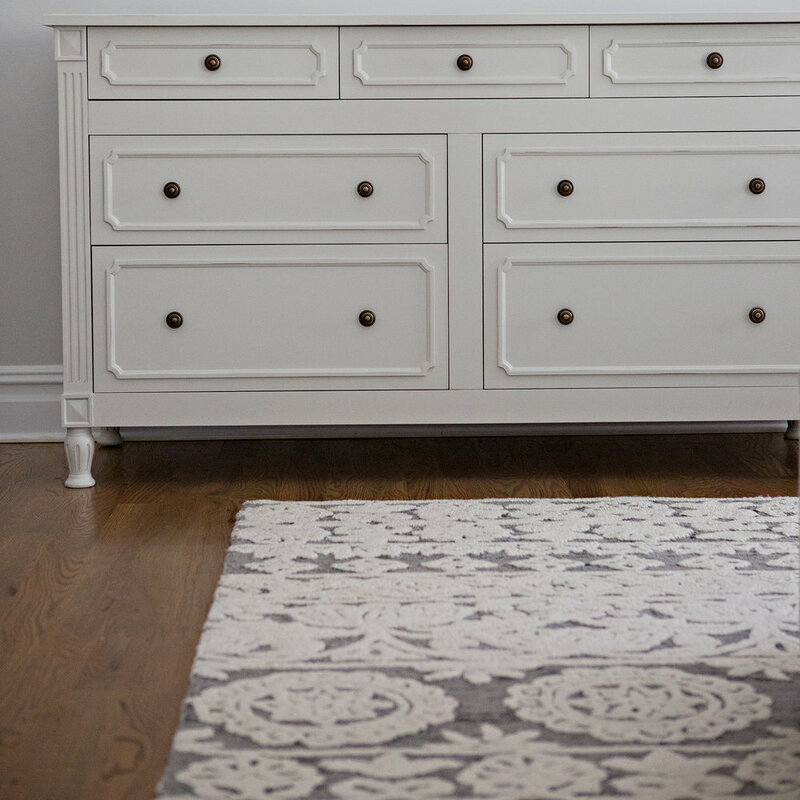 For now I can share this little preview of her new dresser and rug and wall color; wait until you see the BEFORE photos!! If you are searching for an interior designer for your master bedroom or any space in your house,I would love to help you create your dream space! I work in-person in northern New Jersey including Bergen County, Morris County (within 45 minutes of Wyckoff NJ) and remotely I can take on projects anywhere in the world.